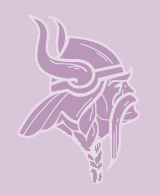 The high school colours were Purple and White and the mascot was the Viking. The school was closed and sold to the Hamilton-Wentworth Roman Catholic School Board in 1988. The last reunion was in 2004. You can find more info and photos from the Winona High School reunion on the Winona High School Reunion website. You may also want to checkout Classmates.com ... they have 895 Winona High School amumni registered as of May 2008. Here is the link direct to the Winona High School section on Classmates.com. There is also a Winona High School MSN Group for more photos and school info. Ultimately, our plans for this website are to eventually expand the content and possibly turn it into a Winona High School Alumni website with lots of photos and history. If you have a photo or other information you would like to share please contact us by email. WANTED: Old Photos of Winona High School - Please email us your photos.